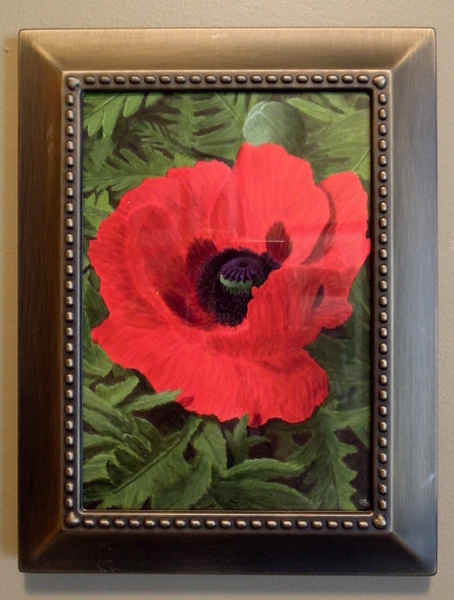 We made this Poppy panel which measures 5 x 7 inches designed from a painting we bought while in Victoria BC. this past July 2015. It was given as a gift by our young granddaughter’s parents to her daycare provider who was returning to school. Their 2 1/2 year old daughter had a wonderful time at her 1st daycare home and they wanted to honour her dedication and help she provided for their daughter Poppy. 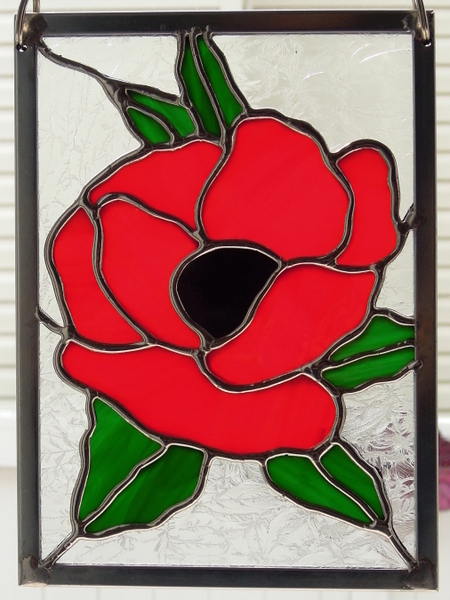 The next picture is the painting from which our stained glass design was taken from. The painting was done by Patricia K. Plank and she gave us her blessing to make a stained glass rendition.